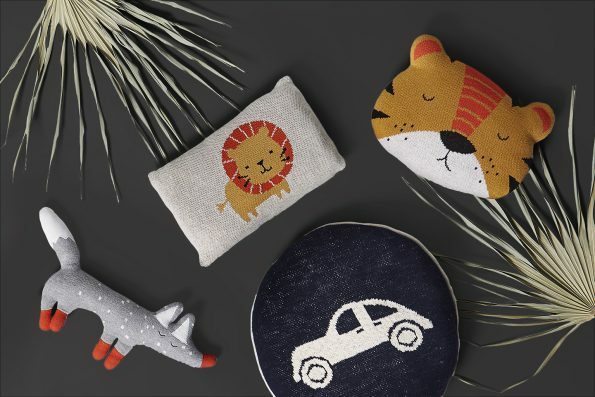 This pillow is called “royal” for a good reason – the king of the jungle is here! 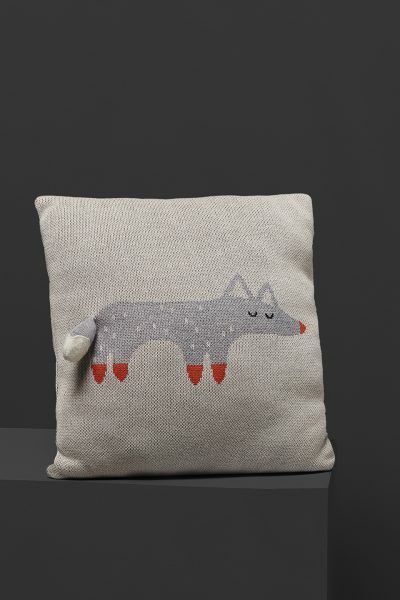 It is a handy little pillow, 20x30cm in size. 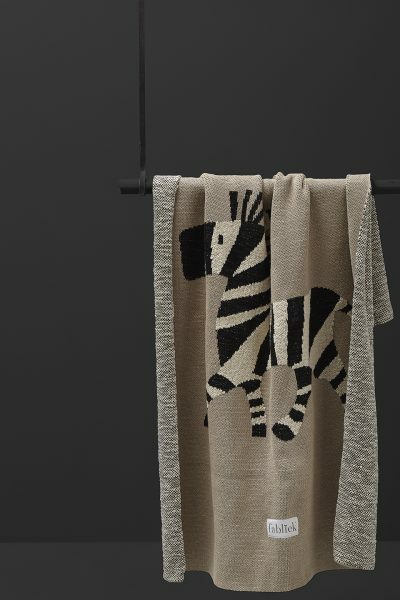 It can be used as a cuddle toy or a decoration. 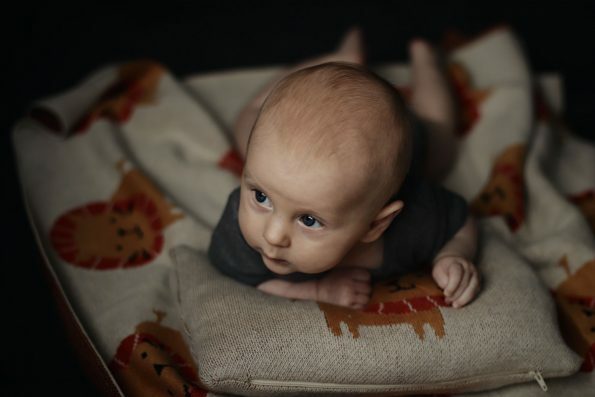 It is advised not to use this pillow for newborn babies as a headrest during sleep – it is not flat enough. 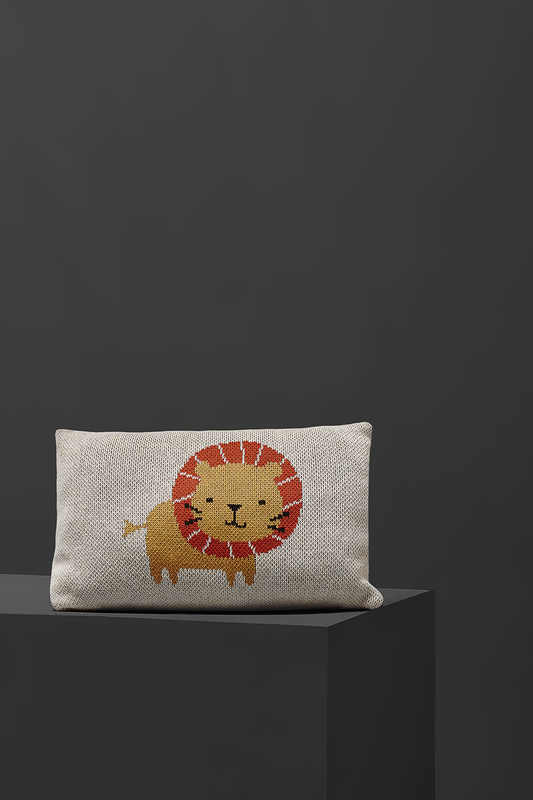 The pillow is two-sided with a little lion appearing on each of its sides. 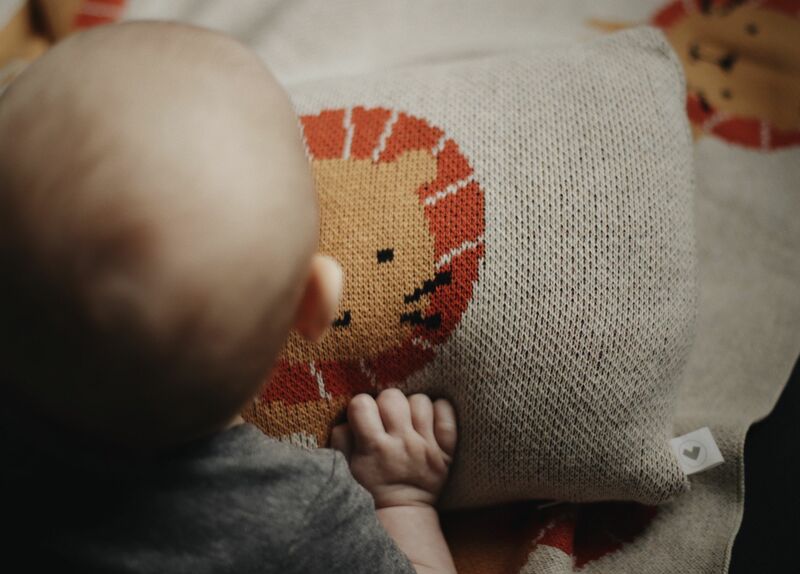 This cute pillow has a chance to become a favorite cuddle toy of you little one. 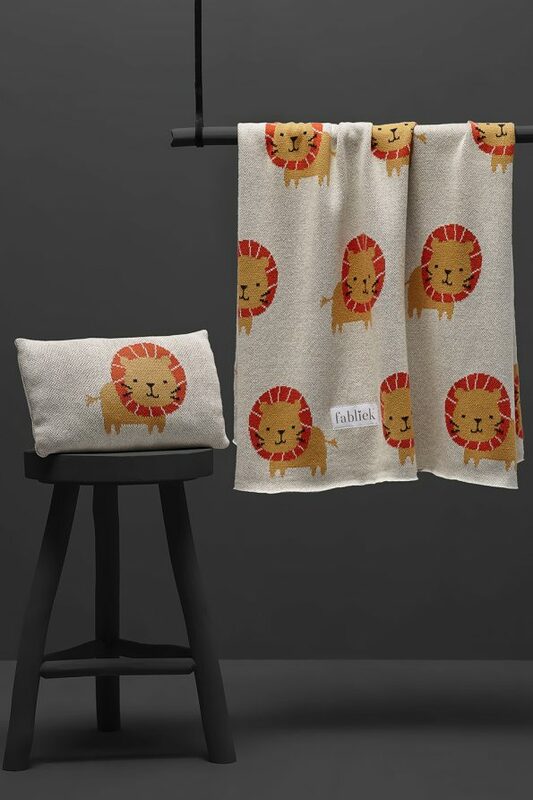 It can also be bought together with a lion blanket. 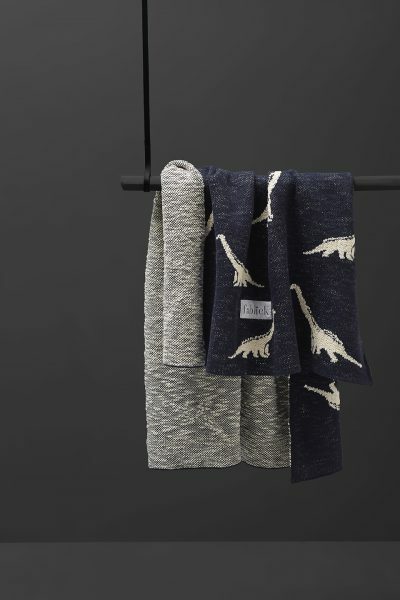 It has a removable cover and it is made from organic cotton. 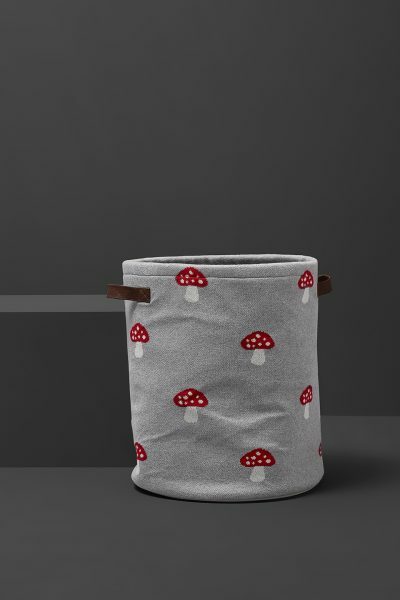 We pack the pillow in a practical cotton sack with two pompoms attached. 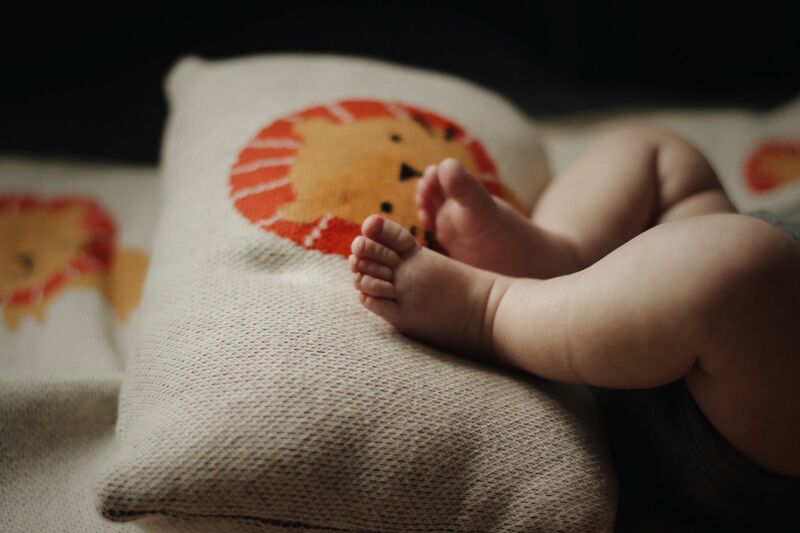 Together with a blanket it will be a cute gift for your newborn baby or for your friends baby shower.